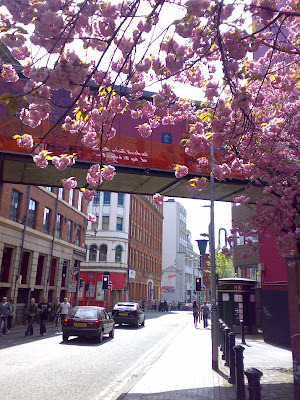 Tib Street at its most charming. 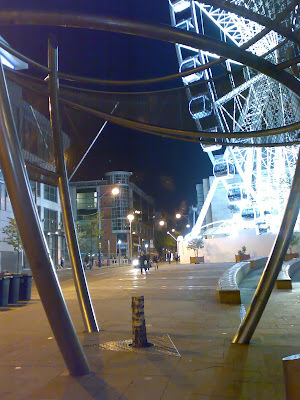 Not the same without the old LSTD's outdoor tables, but still one of the loveliest spots in town. This tree died of embarassment after being forced to participate in the Triangle's horrifying mall sculpture atrocity. For shame. Ooh, spooky. I patted that forlorn tree on the head as I hurtled past The Corn Exchange today. I'd not noticed it before. Thanks Lester. This tree needs all our love!